^ 韓國聯合通訊社. <태풍 차바> 제주 공무원 비상근무령…오후 8시 주의보 발효. [2016年10月4日]. ^ 韓國氣象廳. [기상청 속보] 2016년 10월 5일 19시 10분. [2016年10月5日]. ^ Typhoon Chaba batters South Korea and heads to Japan. [2016年10月6日]. ^ 手机搜狐. 超强台风“暹芭” 浙江省温州市发布台风蓝色预警. [2016年10月3日]. ^ 中央氣象局. 農業氣象旬報 (PDF). [2016年10月15日]. ^ Wang, Shu-fen; Kao, Evelyn. Taiwan cancels Monday flights to Okinawa due to Typhoone Chaba (update). Focus Taiwan News Channel. 2016年10月2日 [2016年10月7日]. ^ Powerful typhoon bearing down on Okinawa. 日本時報. 2016年10月3日 [2016年10月3日]. 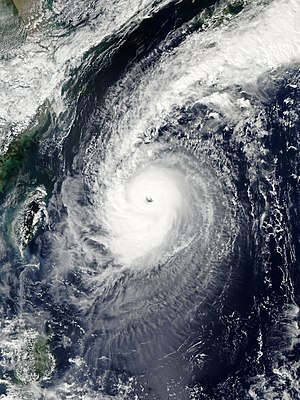 ^ Typhoon Chaba hits Japan’s southern islands. 澳洲時報. 2016年10月4日 [2016年10月7日]. 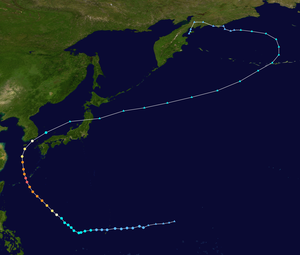 ^ Japan braces for Chaba after it devastates S Korea. 新加坡TODAY日報. 2016年10月5日 [2016年10月5日].